Every time I would visit my family in Colombia I would come back with tons of handmade jewelry and clothes. I guess I've always been drawn to the uniqueness of anything that is handmade and knowing that nobody else would have something like it when I got back to "the states." 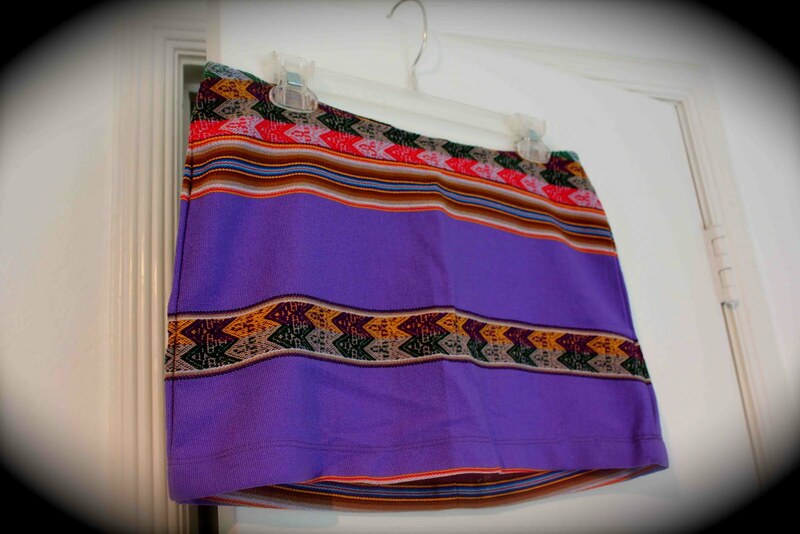 That's why when I received this Inca mini skirt from Pitusa, I immediately feel in love with the fabric and story behind it. They're handmade from Peruvian "mantillas" which are used by Peruvian women to carry their babies in the mountains of Peru. The fabric is also eco-friendly and made from recycled bottles. Pretty cool huh? The skirt fits really short (hence the word "mini" skirt), so I've been using it as the perfect piece to throw on top of my bathing suit when heading to the beach. What a cute colorful skirt!